The truth is when I was in love with you I just wanted to please you. I mean I would wake up every morning and think, "What would Jane want? What would make Jane happy? What would make Jane smile?" And now, I'm kind of like, "So what if Jane's upset." I mean no offense. 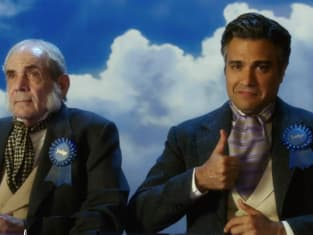 Jane the Virgin Season 3 Episode 2: "Chapter Forty-Six"
Jane: I am, yes. A married virgin with a one year old son. Permalink: I am, yes. A married virgin with a one year old son.